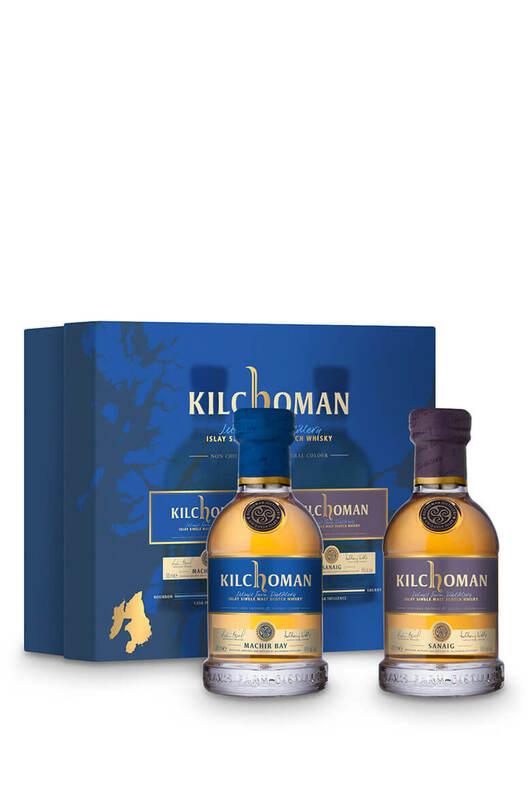 The best of both worlds from Kilchoman. This pack contains two 20cl bottles, one of the ex-bourbon cask matured Machir Bay and one of the sherry cask matured Sanaig. The ideal gift for someone who likes the peaty single malts from Islay. A vatting of 5 and 6 year old malt whiskies which have been aged in both ex-Bourbon and ex-Oloroso S..
A no-age-statement Kilchoman that has been matured in both ex-Bourbon and Sherry barrels. The latter..
A superb expression of Kilchoman Single Malt, aged for 8 years in a combination of Bourbon barrels a..